Rent College Pads works to help college students in Milwaukee find the best UWM off-campus options around Milwaukee. Whether you're looking to live in an apartment for rent on Milwaukee's east side or you're interested in UWM houses for rent near campus, Rent College Pads has tons of places for you to compare. Living with a pet? Need to find a five-bedroom place? Sick of sharing one bathroom with three roommates? Rent College Pads has filters so you can search UWM housing fast. And use our Facebook-integrated roommate and sublease finder for any other housing needs. Was the unit you saw similar to the unit you eventually ended up with? Were your maintenance requests responded to within 24 hours? Was the house or apartment accurately represented in its photos? Would you rent from this landlord again? Were you able to get your security deposit back from this company? Please login or fill out below form to submit this review. Please rate all with yes or no! When you're searching for UWM off-campus housing, it's a good idea to start your search by February at the latest for an August move in. But finding a house is a different game than finding an apartment. UWM houses for rent in the few blocks around campus on Oakland, Downer or Prospect are always going to be the hottest commodities. You're going to want to make sure you've signed a lease for August by the time Spring Break hits, otherwise you're going to be scrambling to find a house for you and your friends for the upcoming school year. Apartments near UWM rent all year long, so you'll still have a few options available in the summer, especially if you're willing to live a little further away from campus. And if you're willing to explore Shorewood apartments for rent, there's typically something available at any time. But for prime placement, don't dawdle. Find your UWM apartment by the end of the second semester. Since Milwaukee is a relatively large city, the rent is going to be a little higher than an average college student would like. Although rent could be much worse, living alone in an apartment near UWM in Milwaukee might prove to be difficult for most students. You'll have trouble finding apartments for rent in Milwaukee for under $500. That's where roommates come into play. If you're okay with sacrificing space and living with some buddies in a house for rent in Milwaukee, it's definitely going to save you some cash. There are tons of houses for rent near UWM, so you'll have some great options near campus too. Our advice? Save money. Don't walk as far. Living with friends isn't so bad. Milwaukee is a hot spot for tons of bars and restaurants. Whatever you're looking for in a bar or restaurant Milwaukee will definitely have you covered. Milwaukee has many, many restaurants that are exclusive to the city so trying those are always fun. If you're not into trying new things and its 3 am and you and your roomies are hungry, Toppers is always a call away. There is literally a bar scene no matter where you are in Milwaukee, but the 3 main streets to go out on are North Ave, Brady St, and Water St. These streets are packed with bars and people no matter what day of the week it is. There is always some sort of deal going on with any bar that you go to, any day of the week. Out of all the listed restaurants and bars, here are the ones you will not want to miss. Milwaukee, being such an urban area, surprisingly has oodles of outdoor activities that you could take part in. If you're here in the summer hit up Milwaukee Kayak Company and kayak, paddle board, or canoe down the Milwaukee River. See the city from a new perspective on the river. Love to hike or bike? The Oak leaf trail is a 108-mile trail in Milwaukee County, and it actually passes through the city about a half mile from campus. This trail is really wonderful because there's a paved trail and then parallel to that is a trail completely imbedded into a tree line following a babbling river. It honestly doesn't feel like you're in the city anymore, so if you're in need of a relaxing hike head to this trail and free your mind a bit. 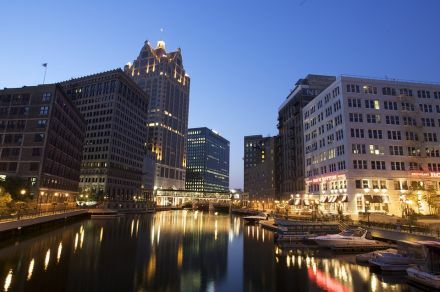 Milwaukee is an amazing city and it has tons to offer its residents. There seems to always be something going on. During the winter months you can always hit up a Bucks game for very cheap and they always have discounts for students. Also, during the summer it's a must to head to Miller park and cheer on the Brew Crew. Speaking of Brewers there are a whopping 39 breweries located just in Milwaukee, no wonder its call the beer capitol of the world. If you were looking to take a brewery tour, it's doubtful that you will have an issue. Interested in drinking while riding down the street on a huge bar on wheels? No Problem, Milwaukee Pedal Tavern has you covered! This is a really fun thing to do with friends, you will definitely not regret your pedal tavern experience! Take a break from alcohol and visit the beautiful Milwaukee Art Museum or the Milwaukee Public Museum, gather some knowledge and then proceed to continue drinking. That's what college is all about right? Knowledge and alcohol? As its name suggests, the neighborhood of Riverwest is located west of the Milwaukee River and the UWM campus. A diverse and primarily residential neighborhood, those looking for housing in Milwaukee that want to be close to campus but not in the heart of the college scene should look to Riverwest, these apartments and houses are often more affordable, too. From funky music venues like Mad Planet, a tiki bar, and numerous local breweries guarantee no shortage of fun hangouts. Riverwest residents even have their own community garden, radio station, and they come together to host a bunch of events throughout the year like Riverwest 24, a 24-hour block party and bike race. If you are someone who prefers to be in the midst of all hustle and bustle and in the heart of it all then finding a rental in Downtown Milwaukee is for you! Although walking to UWM would take some time, driving, biking, or taking the bus will put you on the UWM campus in no time. Downtown is comprised primarily of apartments, which would make it a great fit for you if that’s the type of living you’re looking for. Step outside your door and you’ll be minutes away from shops, dining, nightlife, and more! Milwaukee is home to several sports teams so catch a Bucks or Admirals game. Check out a play or concert at one of the many music venues such as The Pabst or spend a day at the Milwaukee Art Museum. Downtown has a lot to offer, making it a popular spot to find apartments for rent in Milwaukee. The Lower East Side is located just south of Milwaukee’s East Side and north of downtown. This area of town has a great mix of residents both young and old, although, compared to the East Side there are fewer college students and more young professionals. Nevertheless, it’s a quick bike, drive, bus ride to the UWM campus which makes the Lower East Side a draw. Brady Street, an eclectic and bright street, has been a happening scene for decades and is home to a mix of dining options, unique shops, and a lively bar scene. Prospect has tons of apartments and Farwell has a burgeoning dining scene full of ramen, Thai food and pizza. A lot of UWM students live in Shorewood apartments for rent, as this neighborhood is located just north of the campus, making it a desirable location for students. Compared to the East Side, Shorewood is a little quieter so if you prefer a less busy area this would be for you. Beautiful tree lined streets and large single-family homes make up most of this neighborhood but several of these sizeable homes have been made into great houses to rent in Milwaukee. 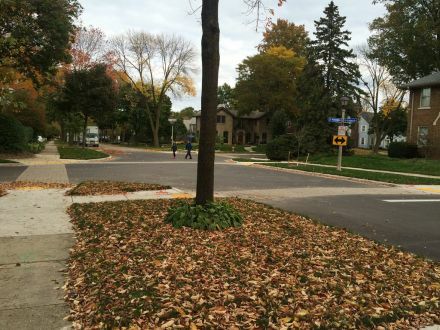 Students who live in Shorewood can easily walk or bike to classes. Atwater Beach is a “must-do” and there are plenty of restaurants to grab food and a convenient grocery store. A trendy neighborhood, Milwaukee’s East Side is an extensive area of town that is east of the Milwaukee River and North of downtown. 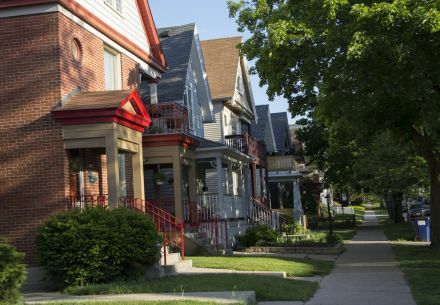 A mix of UWM students, young professionals, and longtime residents make up this neighborhood. From historic duplexes to new high rise apartments on the lake, prospective residents will find a lot of options of apartments for rent on Milwaukee’s East Side. The University of Wisconsin-Milwaukee’s campus is located on the East Side making this neighborhood a hub for students. 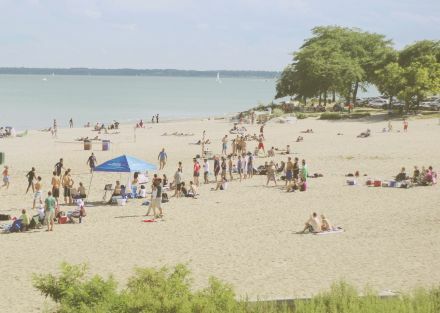 Easily walkable, students can head to Bradford Beach on Lake Michigan or hop on the Oakleaf Bike Trail for a day outside. North Avenue and Oakland Street are popular spots to grab a bite to eat or enjoy a night out. Be sure to catch a show at the Oriental Theater and check out Landmark Lanes for bowling and old school arcade games.